The Internationale Gesellschaft der Bildenden Künste (IGBK) is a powerful lobby, representing the interests of visual artists. It has been the guiding idea of IGBK since its beginning to foster international collaboration amongst visual artists in all directions. 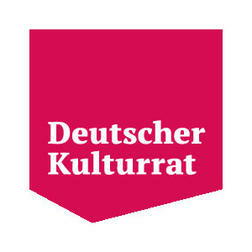 The Stiftung Kulturwerk cultural foundation carries out the cultural mandate of the collecting society VG Bild-Kunst. It supports projects and programmes run by organisations of visual artists that have legal capacity, awards grants to photographers, illustrators, graphic artists and graphic designers and sponsors projects of cultural significance in the film industry. 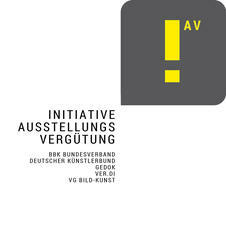 The resources of the foundation come from the revenues of VG Bild-Kunst. The society is required by the German Copyright Administration Act to use a certain proportion of the income it receives from the management of copyrights to promote cultural objectives in all three professional groups. The Kulturwerk foundation is one of the largest sources of funding in Germany in the fields of photography, illustration and design. 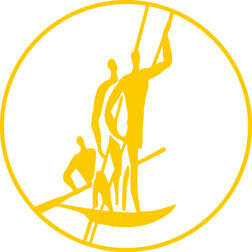 In the 13 years of its existence it has sponsored some 550 projects with a total value of 3.5 million euros. The »Stiftung Sozialwerk« social foundation (Link) of VG Bild-Kunst [Visual Arts Collecting Society] is a registered institution. Within the scope of the means at its disposal, it grants authors in the visual sector financial support at times of social distress, incapacity for work or occupational disability and in old age. It obtains most of its funds from the revenues of VG Bild-Kunst. There is no legal entitlement to aid from the foundation. Applications for support are made directly through the foundation. The honorary advisory councils of the professional groups decide on the applications for support. As a general rule, they are discussed at meetings held in the spring and autumn. In order to protect the interests of the individual professional groups of VG Bild-Kunst, each group designates an independent advisory council comprising seven authors. The foundation provides application forms for support, in which the applicant enters the required data and outlines his or her emergency situation. VG Bild-Kunst is an association. At present they have over 54,000 members: artists, who create works in the visual sector and have organised themselves into a society so that they can jointly administer those copyright claims that cannot be realistically administered individually. The association operates on a non-profit-making basis and the revenue generated from exploiting the assigned usage rights and royalty claims is distributed in full to its members after deducting administrative costs. Legally speaking, VG Bild-Kunst is therefore referred to as a »collecting society« or »Verwertungsgesellschaft« – that is what the abbreviation »VG« in its name stands for.